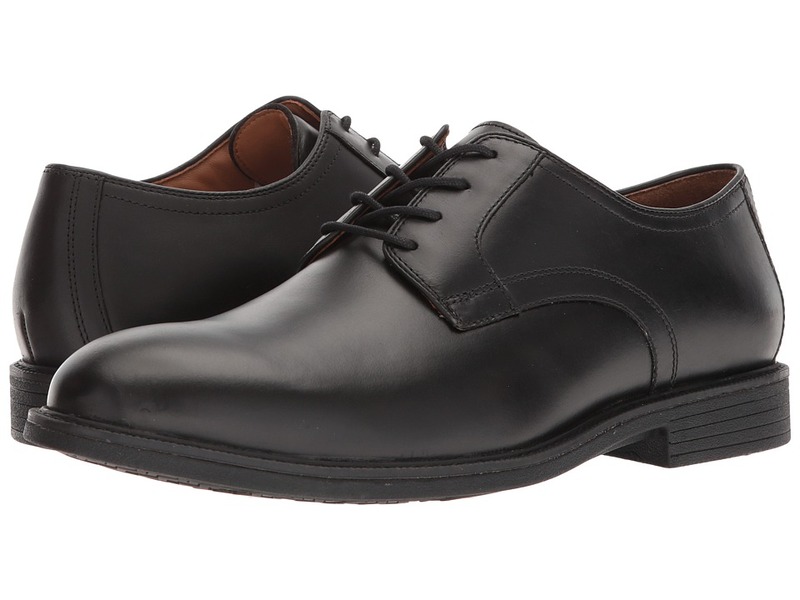 The Johnston Murphy Barlow cap-toe will ensure you arrive at any event in style and comfort! Upper constructed of premium soft leather. Lace-up closure to secure foot in place. Collar and tongue are padded for extra comfort. Cap-toe design. Footbed lined with performance fabric for extra cushioning. Insole is removable for a customized fit. Raw leather welt construction for durability. Gel-rubber sole ensures extra traction. JM Flex technology promotes flexibility and wider range of motion. Imported. Measurements: Weight: 1 lb 4 oz Product measurements were taken using size 11, width M (D). Please note that measurements may vary by size. Weight of footwear is based on a single item, not a pair. 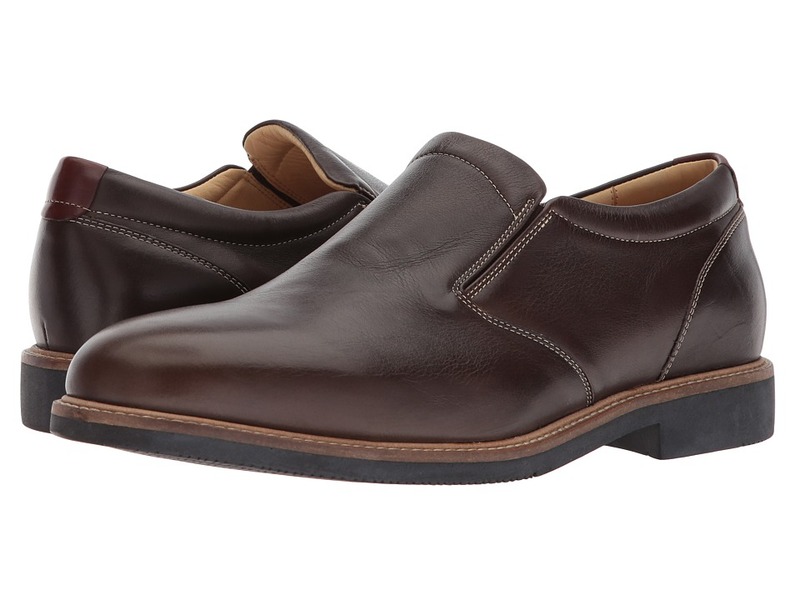 The Johnston Murphy Barlow Venetian slip-on is casual sophistication you can wear all day long! Upper is constructed of soft premium leather. Collar is lightly padded for additional comfort. Dual-gore panels hidden within upper secure foot in place. Slip-on design. Supple leather linings promote a breathable design. Polyurethane footbed is removable for a personalized fit. JM Flex technology ensures outsole has a flexible range of motion. Rubber outsole guarantees extra traction and durability. Imported. Measurements: Weight: 1 lb 5 oz Product measurements were taken using size 12, width M (D). Please note that measurements may vary by size. Weight of footwear is based on a single item, not a pair. Casual yet handsome! What more could you need?! Hand-finished calfskin leather upper features artisan detailing. Lace-up closure for an adjustable fit. Includes two sets of laces in matching and contrast color. Breathable leather and fabric lining for all-day wear. Removable, cushioned molded polyurethane insole. Durable rubber outsole for a pleasurable walking experience. Imported. Measurements: Weight: 1 lb Product measurements were taken using size 11, width M (D). Please note that measurements may vary by size. Weight of footwear is based on a single item, not a pair. 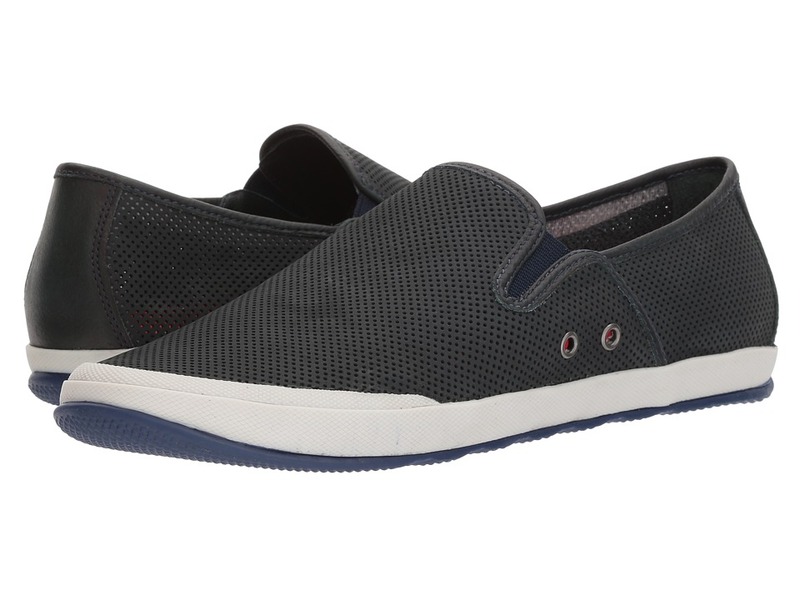 The Johnston Murphy Mullen slip-on brings casual with subtle elegance to any wardrobe! Upper constructed of premium leather. Perforated leather throughout the shoe ensures a breathable design. Dual-gore panels ensure a comfortable and secure fit. Slip-on design. Insole provides plush cushioning for extra comfort. Rubber outsole utilizes a lightweight and durable design. Imported. Measurements: Weight: 10 oz Product measurements were taken using size 11, width M (D). Please note that measurements may vary by size. Weight of footwear is based on a single item, not a pair. 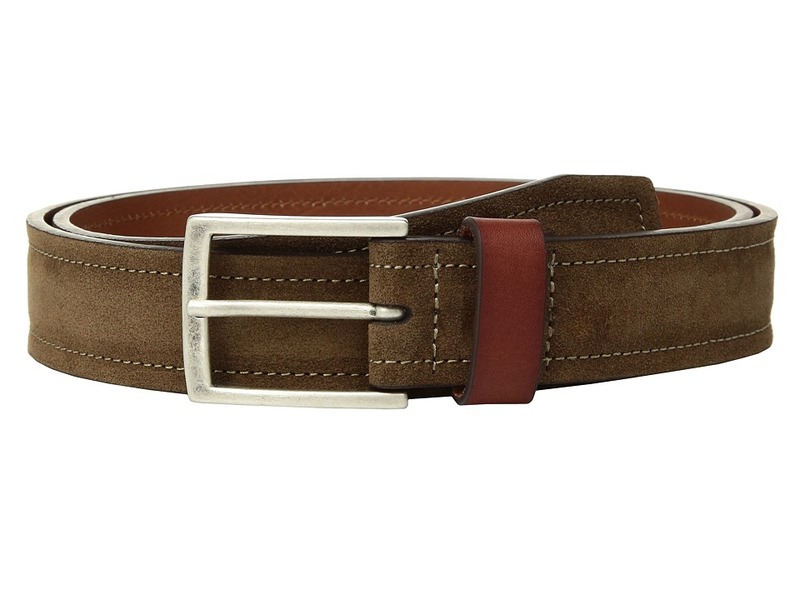 Upgrade your casual look with the luxuriously laid-back Fowler Venetian from Johnston Murphy. 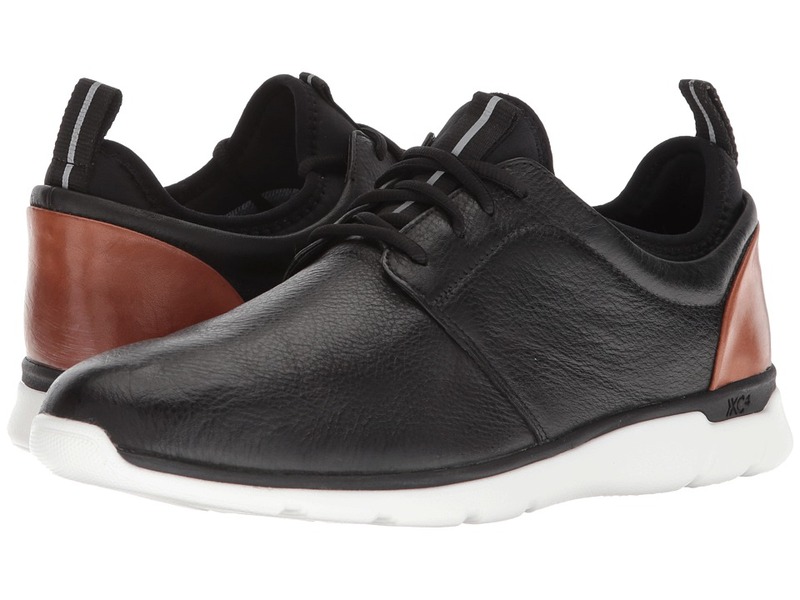 Premium leather features a round, moccasin toe. Easy slip-on style. Crafted using the artisan technique called tubular construction, from a single piece of leather without side seams. Soft and breathable leather linings. Offers a generous foam cushioned, leather-lined insole for all-day comfort. Flexible rubber outsole minimizes harsh impacts and provides traction. Imported. Measurements: Weight: 14 oz Product measurements were taken using size 12, width M (D). Please note that measurements may vary by size. Weight of footwear is based on a single item, not a pair. 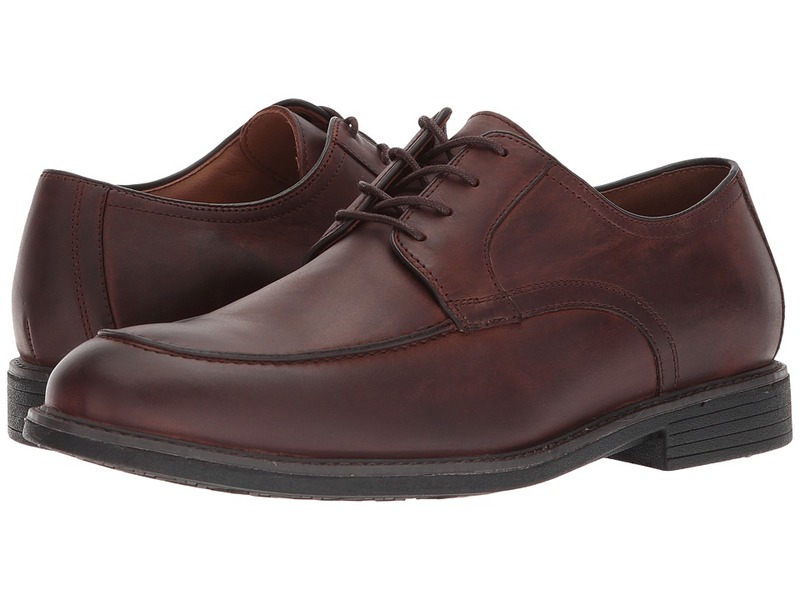 Hold your own in the style department with the handsome XC4 Waterproof Hollis Plain Toe from Johnston Murphy. Premium waterproof leather uppers with a plain, round toe. Seam-sealed construction keeps moisture out. Adjustable lace-up closure for a secure fit. XC4 comfort technology optimizes comfort and flexibility while reducing the overall weight of the shoe. Removable, cushioned memory foam insole with leather and moisture-wicking performance fabric cover. Dual-width insole changes a medium to a wide. High-density rubber outsole absorbs impacting shock and provides lasting durability. Imported. Measurements: Heel Height: 1 in Weight: 1 lb 5 oz Product measurements were taken using size 12, width M (D). Please note that measurements may vary by size. Weight of footwear is based on a single item, not a pair. Hold your own in the style department with the handsome XC4 Waterproof Hollis Moc Toe Johnston Murphy. Premium waterproof leather uppers with a plain, round toe. Stitched saddle with laser cut details. Seam-sealed construction keeps moisture out. Adjustable lace-up closure for a secure fit. XC4 comfort technology optimizes comfort and flexibility while reducing the overall weight of the shoe. Removable, cushioned memory foam insole with leather and moisture-wicking performance fabric cover. Dual-width insole changes a medium to a wide. High-density rubber outsole absorbs impacting shock and provides lasting durability. Imported. Measurements: Weight: 1 lb 4.2 oz Product measurements were taken using size 12, width M (D). Please note that measurements may vary by size. Weight of footwear is based on a single item, not a pair. Achieve your goals in the Johnston Murphy Prentiss Plain Toe athletic sneakers. Upper is made of super-soft waterproof leathers with vachetta leather trims. Lace-up closure for an adjustable and secure fit. Includes two sets of laces: reflective two-tone and solid matte. Neoprene stretch bootie lining for all-day breathability. Dual-width removable footbed provides luxurious comfort. Supportive EVA midsole. Abrasion-resistant polyurethane rubber sole. Imported. Measurements: Weight: 15 oz Product measurements were taken using size 11, width M (D). Please note that measurements may vary by size. Weight of footwear is based on a single item, not a pair. 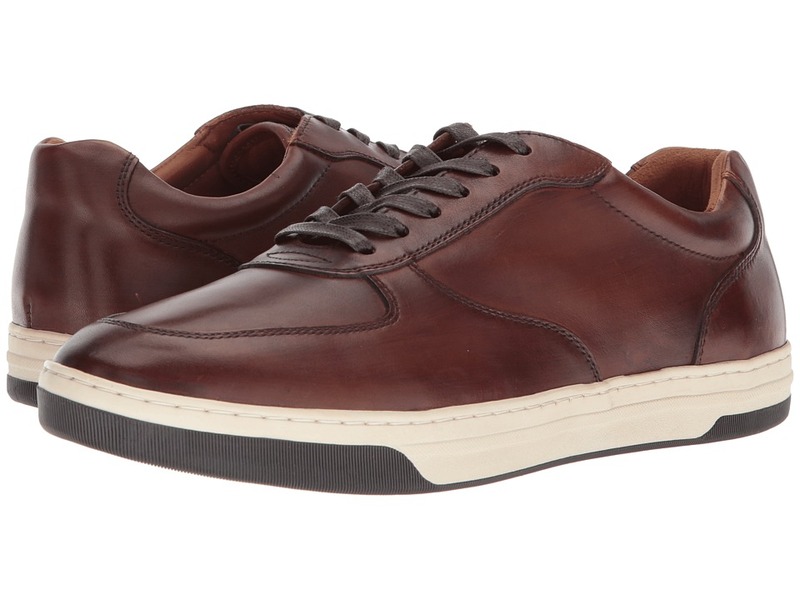 Take on the day with the no-nonsense Johnston Murphy Prentiss U-Throat sneakers. Super-soft waterproof leather upper is perforated with vachetta leather trims. Lace-up closure for an adjustable and secure fit. Includes two sets of laces: reflective two-tone and solid matte. Neoprene stretch bootie lining for all-day breathability. 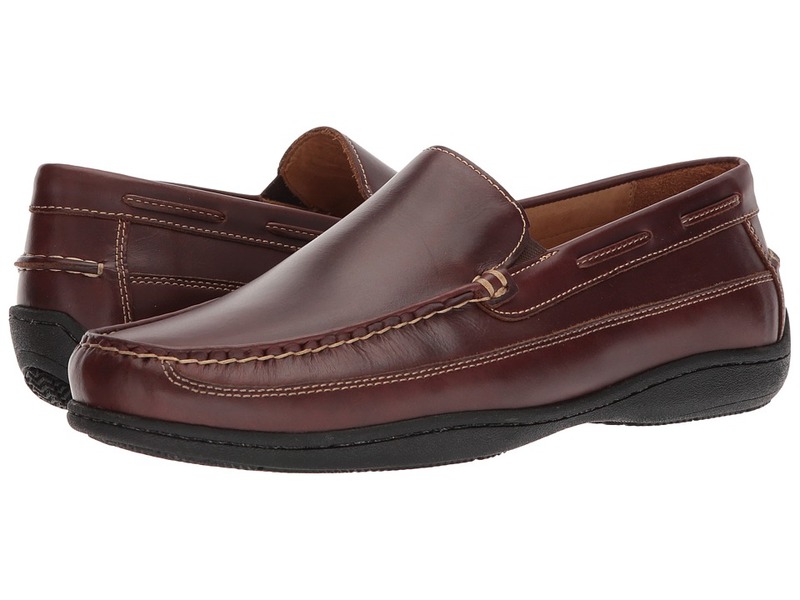 Dual-width removable footbed provides luxurious comfort. Supportive EVA midsole. Abrasion-resistant polyurethane rubber sole. Imported. Measurements: Weight: 15 oz Product measurements were taken using size 11, width M (D). Please note that measurements may vary by size. Weight of footwear is based on a single item, not a pair. 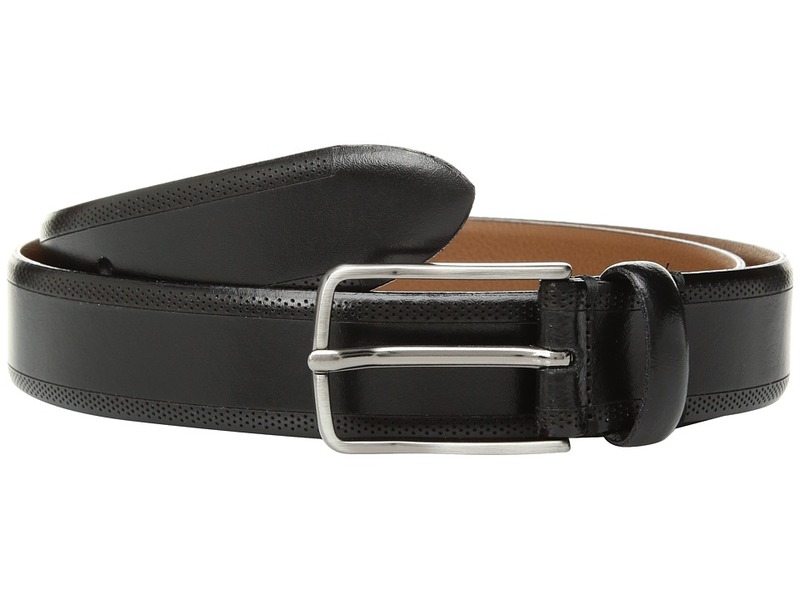 This sleek Johnston Murphy belt is rugged yet handsome. Constructed of suede. Etched detail along edges. Silver-tone antiqued hardware. Single-prong buckle. Single loop keeper. Imported. Measurements: Width: 1 1 4 in First Hole Length: 33 1 2 in Last Hole Length: 37 1 2 in Weight: 4.6 oz Product measurements were taken using size 34. Please note that measurements may vary by size. Add a touch of suave sophistication to your ensemble with the Johnston Murphy Edge Perf Embossed. Made of genuine leather. Perforated detail at edges. Polished hardware. Single prong buckle. Single leather loop keeper. Made in Italy. Measurements: Width: 1 in First Hole Length: 38 in Last Hole Length: 42 in Weight: 5.4 oz Product measurements were taken using size 38. Please note that measurements may vary by size. 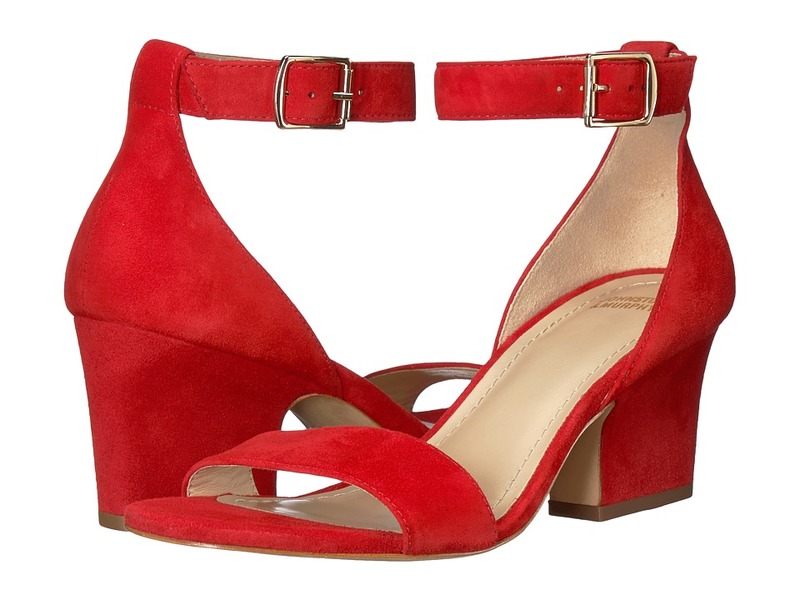 The Cecilia sandal is a fashionable way to enjoy the warmer weather. Glove leather or suede upper with allover perfs for style and maximum breathability. Adjustable hook-and-loop closure. Soft leather lining and cushioned footbed for all-day comfort. Ultra-lightweight and shock-absorbing EVA wedge outsole. Imported. Measurements: Heel Height: 1 3 4 in Weight: 7 oz Product measurements were taken using size 7.5, width M. Please note that measurements may vary by size. Weight of footwear is based on a single item, not a pair. 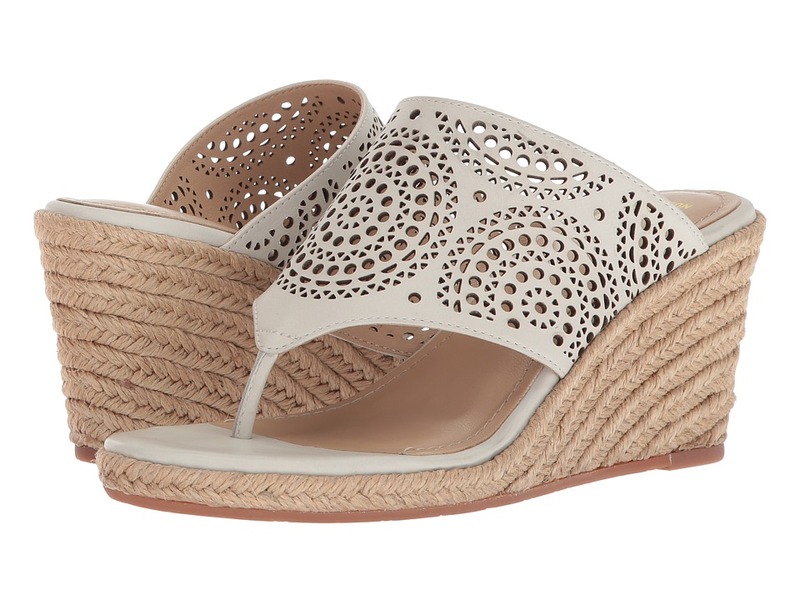 Keep it all together and snazzy in the Carly sandal from Johnston Murphy. Leather or metallic leather upper features side cutouts for a unique look. Easy slip-on style. Soft leather lining and cushioned footbed for all-day wear. Flexible and lightweight rubber outsole. Imported. Measurements: Heel Height: 1 3 4 in Weight: 7 oz Platform Height: 3 4 in Product measurements were taken using size 8.5, width M. Please note that measurements may vary by size. Weight of footwear is based on a single item, not a pair. Flaunt your elegant style choices in the Deena ankle strap from Johnston Murphy. Bleached cork or kid suede upper in a sleek silhouette. Adjustable buckle closure. Soft leather lining and cushioned insole for all-day comfort. 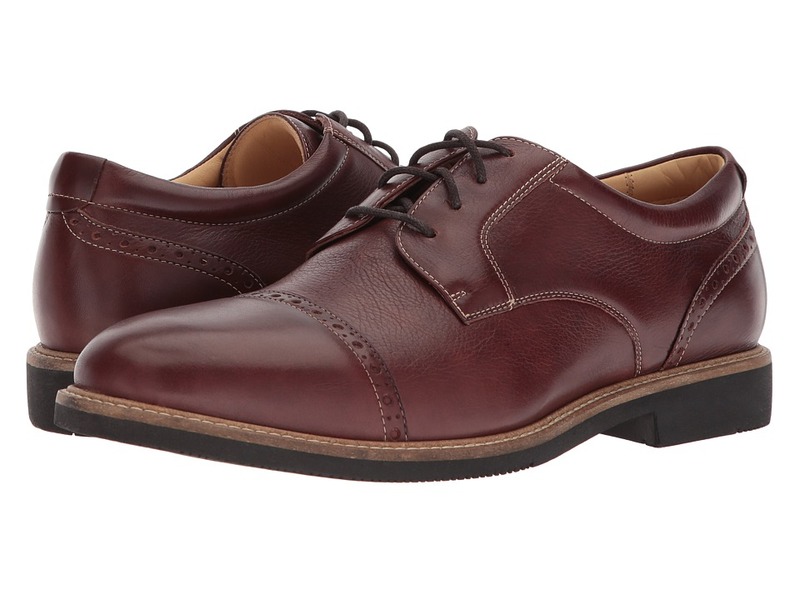 Buffed leather outsole for a pleasurable walking experience. Imported. Measurements: Heel Height: 2 1 2 in Weight: 8 oz Product measurements were taken using size 7.5, width M. Please note that measurements may vary by size. Weight of footwear is based on a single item, not a pair. Kick up the cool factor with these fun slip-on shoes from Johnston Murphy. Soft leather or metallic leather in a woven upper. Easy slip-on style with goring for a comfortable fit. Breathable leather lining and cushioned footbed for all-day wear. Durable rubber outsole for a pleasurable walking experience. Imported. Measurements: Weight: 10 oz Product measurements were taken using size 7.5, width M. Please note that measurements may vary by size. Weight of footwear is based on a single item, not a pair. Sizzle the pavement one stride at a time with the Johnston Murphy Geneva wedge! Metallic suede upper with a gorgeous strappy silhouette. Rear zipper closure. Soft, raw-edge straps mold to your foot. Soft leather lining and cushioned insole for all-day comfort. Stacked wedge heel wrapped in leather. Durable rubber outsole. Made in Brazil. Measurements: Heel Height: 3 in Weight: 9 oz Platform Height: 3 4 in Product measurements were taken using size 7.5, width M. Please note that measurements may vary by size. Weight of footwear is based on a single item, not a pair. 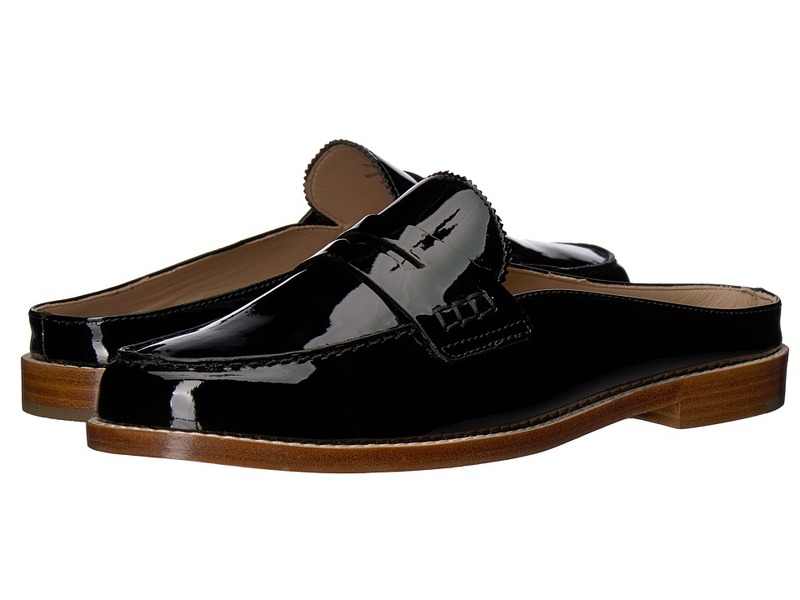 Johnston Murphy took the classic penny loafer to the next level with the eye-catching Giada! Genuine patent leather upper in a mule silhouette. Easy slip-on style. 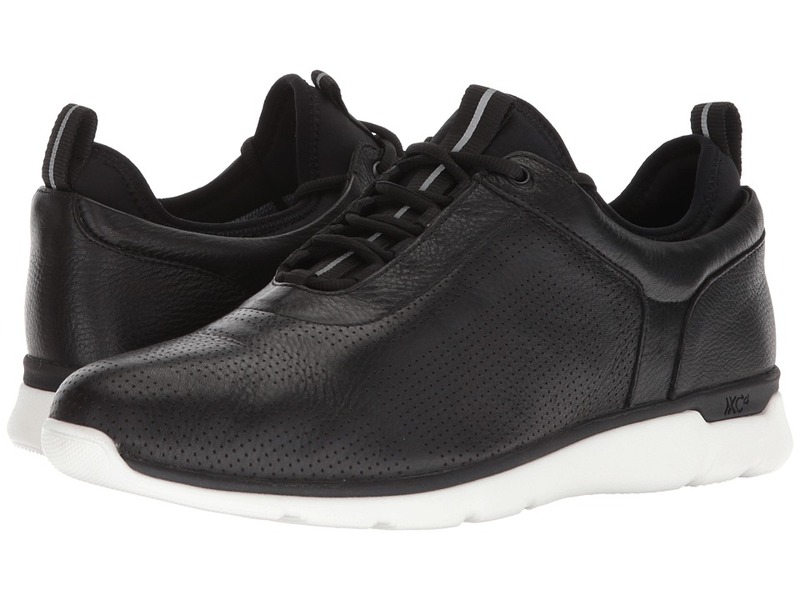 Breathable leather lining for all-day wear. Memory-foam cushioned footbed with a leather/microsuede-covered insole. Stacked leather-wrapped heel. Buffed leather sole with rubber inset. Imported. Measurements: Heel Height: 1 2 in Weight: 9 oz Product measurements were taken using size 9, width M. Please note that measurements may vary by size. Weight of footwear is based on a single item, not a pair. Accomplish great things in the beautiful Johnston Murphy Gina wedge. Waxy leather upper features perf details for style and breathability. Easy slip-on style. Premium leather lining and memory-foam footbed for all-day comfort. Braided jute-covered wedge. Durable rubber outsole. Made in Brazil. Measurements: Heel Height: 3 in Weight: 10 oz Platform Height: 1 2 in Product measurements were taken using size 8, width M. Please note that measurements may vary by size. Weight of footwear is based on a single item, not a pair.